Forschungszentrum Jülich is mourning the passing of Professor Peter Grünberg. The Nobel laureate in physics and scientist of Forschungszentrum Jülich passed away last week in Jülich at the age of 78. “The news of Peter Grünberg’s passing has filled all of us at Forschungszentrum Jülich with great sadness. Our thoughts are with his family. We have lost an outstanding scientist who set standards worldwide in the field of solid state research. It is no exaggeration to say that Peter Grünberg and his discovery of the giant magnetoresistance effect have dramatically changed all our lives. Without him, modern computers and smartphones as we know them today would be inconceivable. Peter Grünberg was not only an excellent researcher, but above all an esteemed and all-round popular colleague. He remained loyal to Jülich for more than 45 years and we will miss him greatly. Forschungszentrum Jülich will honour his memory, not least through the institute bearing his name – the Peter Grünberg Institute,” said Professor Wolfgang Marquardt, Jülich’s Chairman of the Board of Directors, in a tribute to the Nobel laureate. We would like to give you the opportunity to share your memories of Peter Grünberg and to offer your condolences on this page. Please do so by posting a comment. Please note that your entry might not show on the page at once due to our web policy. Please also visit the German version of this page if you wish to see what previous visitors have contributed. This post was written by a guest contributor. Some personal words and thoughts for Peter Grunberg. I am very sad of the disappearance of a fantastic scientist and physicist who revolutionized the world since his discovery some decades ago. I remember also the very fruitful period of time spent recently in the PGI Juelich’s group meeting him sometimes. Physics and spirit will still remain. Sincerely. I feel extremely lucky; Prof.Gruenberg was the most kind and down to earth person I have ever met. His discovery of GMR and its outcomes was central to the extraordinary developments in data storage devices that occurred over the past two decades. Being a PhD student of his institute, on one occasion, I had a very productive discussion with him on the future of racetrack memory. Scientists will always remember his remarkable contributions to physics and the passion he had put into his work. My condolences for the passing of Professor Grünberg. His contributions to science and the modern world were magnificent. 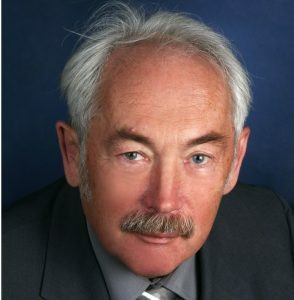 In 2012, Peter Grünberg visited the Chemistry Department of Carleton University where more than 40 years ago he was a postdoctoral fellow working under the supervision of Arnold Koningstein. During Professor Grünberg’s visit, a plaque was erected in his honour, which bears his likeness and motto: Stay motivated and work hard. This is seen by all of our students and is undoubtedly an inspiration that they too have the potential to achieve greatness.